Regional Fisheries Management Organizations (RFMOs) that are responsible for the management for highly migratory species, such as tuna, have adopted annual individual catch or effort limits for particular tuna stocks, or a total allowable catch or total allowable effort for specific tuna stocks. The adherence to these limits by RFMO Members and Cooperating Non-Members (CNMs) is typically monitored via annual, or sometimes, quarterly, reporting requirements. 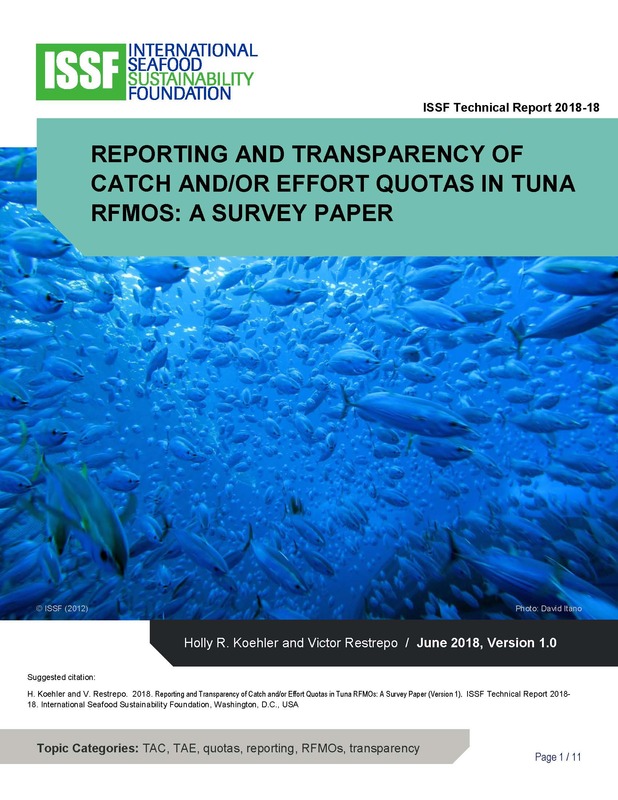 This Survey Paper reviews what types of quotas have been adopted in the five tuna RFMOs, how those quotas are reported against by Members and CNMs, what reporting requirements are in place, and if any near-real time in-season reporting systems for the consumption of quotas are in place. The advantages and potential disadvantages of in-season quota consumption reporting are also examined, and findings provided.